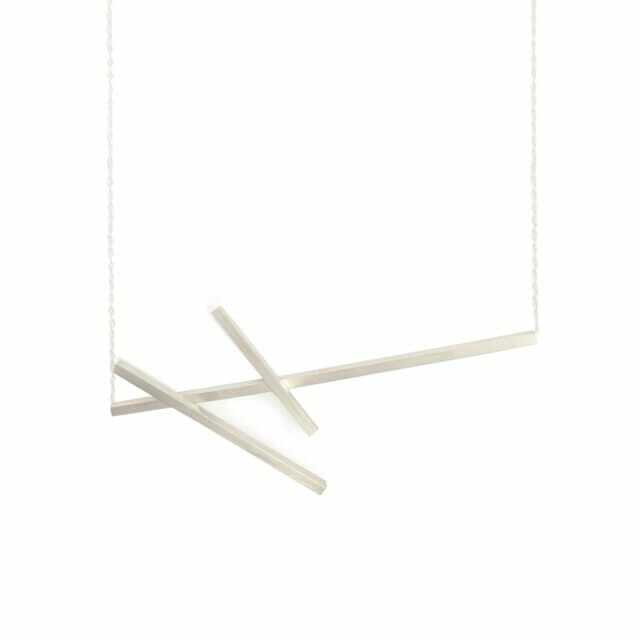 The Stave necklace is a contemporary classic with its clean geometric lines and asymmetry. The simplicity of the design makes the Stave necklace an easy to wear, go to piece. Its brushed finish gives the silver a warmth, a signature of the collection. The Stave necklace stands out beautifully on a darker outfit, however can just as easily be worn with anything. Megan Collins is a contemporary jewellery designer originally from South Africa, now based in London. She has a background in Fashion Design and a Degree in Fine Art and a Diploma in Jewellery Design from the Vannetta Seecharran School of Jewellery in London. 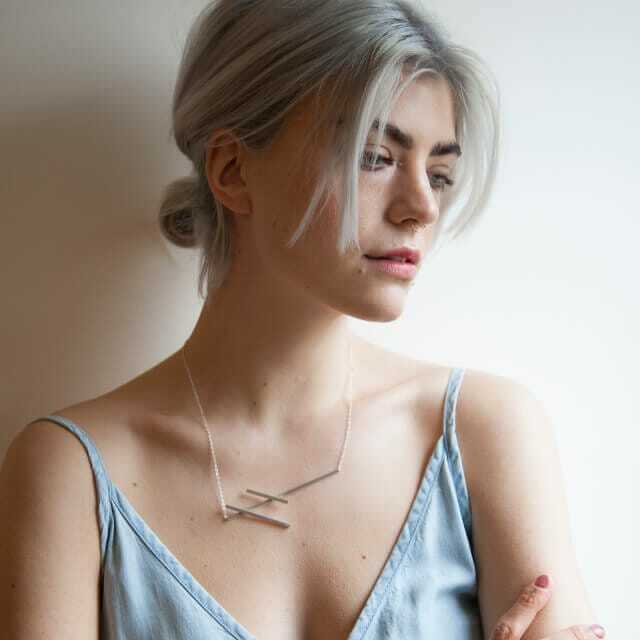 Megan Collins jewellery has its roots in the natural world, yet finds its finished form in the elegant simplicity of geometry. Each piece is lovingly handmade in the East London studio with the greatest attention to detail to ensure the wearer is fully satisfied. Her sculptural pieces are created primarily out of Sterling Silver with hints of either brass, gold or oxidised components to create a subtle contrast.